“If music be the food of love, play on!” Or so goes the quote from Twelfth Night. However, let us make it clear that taking H2 Music is not as easy as it may seem, and you will need to have a passion (strong interest would be a better word) for music in the first place. 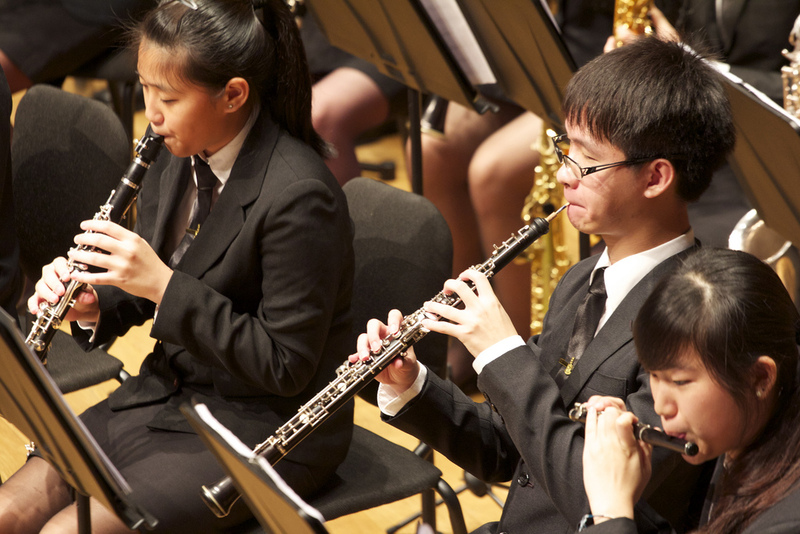 No worries if you did not offer Music in your secondary school days, because there should be a selection test for all interested students next year. Let’s work on the assumption that you really like music and you are interested in all things Beethoven and Brahms (God forbid that one should hate Brahms). In that case, Music as a subject should be a breeze for you, since your interest in it should drive you to work harder, and your effort should produce that A you desire on your report card. It is arguably an easy subject to score in, provided you are able to play or sing decently, have the pre-requisite content knowledge, and/or are keen to read up more. If you are just looking for an easy A without an actual interest for the subject, then Music might not be ideal. You may meet classmates or seniors who tell you how easy Music is, but that is definitely because they have a keen interest in it and have read up a lot on the subject. If writing essays on music, reading up, or even performing seems a chore to you, then the workload and many hours required will feel tedious – especially when your days drag on to 5pm because of that one subject. Nope, H2 Music is an academic subject. So while there is the practical component, which requires you to perform a programme of about 15 to 20 minutes, there is still emphasis on a bit of musicology. Musicology is the academic study of music, and this takes place during 1.5 hour-long lectures. It is basically getting to know your Romantic composers better (think Berlioz, Liszt, Strauss), and studying a set of focus works set out by SEAB, based on a series of topics (e.g. the role of the programme in music, Beethoven’s influence, etc.). There is the occasional lecture on ethnic music, which are lighter in content. The lectures are not boring – provided you have read your notes beforehand, and actually pay attention. You are expected to read at your own pace. The readings can get quite thick, and can be intimidating at first but we all get used to it. Also, Dr. Gooi tries to make the lectures as interesting as possible, and with the quirky personalities you will meet as a Music student, it is generally hard to fall asleep during a Music lecture! There are tutorials for composition and the practical examination. Composition tutorials are consultation-based, so you will work on your composition portfolio through the week and get feedback from your composition tutor. No work done = no feedback = no improvement = your Promos grade will suffer at the end of the year so do not take this component lightly! Practical tutorials later on in the year mean getting additional feedback, from someone other than your private music teacher. For Year 5s, the teachers try to make the assessments more flexible and interest-driven, instead of sticking to the ‘A’ level exam format, which can be found here. Not to worry if you do not understand what are the differences between a Performance Major and a Composition Major because the teachers will explain that in further detail. Essentially, it is something you only decide at the end of Year 5, and the teachers are more than willing to help you with that decision, based on 1) your overall results in Year 5 and 2) your interests. For this year, we had a lecture-recital for our CA grade, which encouraged us to read more on a topic relating to performance practice (e.g. “The suitability of ornamentation in an aria from Handel’s Acis and Galatea”), using a focus work of our choice. At the end of our research, we were expected to produce a 1500-word essay. Based on that essay, we then gave a presentation on our chosen topic, before performing the focus work based on our findings. It is a lot tougher than it sounds here, but with a good topic and research focus, it is definitely one of the more rewarding assessments! Funny they should say that music is not practical because there is the practical assessment. But (cold) jokes aside, taking music does not mean that you are limiting your career prospects. Firstly, it arguably keeps your career path open, just in case you ever decide you want to be a professional musician, composer, or conductor somewhere down the road. Those are the ideal routes that people hope to take after graduating from a conservatoire. That being said, yes, your parents are right in saying it is not practical – if those careers are the only ones you are considering. It is definitely tough to make it out there in the music world as a Classical musician, composer, or orchestral conductor, if you do not have the grit and determination, or if the world simply decides that you are not talented enough. This is especially so if you are a girl, because though there are female conductors such as Marin Alsop taking the baton, the classical music world is still pretty much male-dominated. That is why the ideal route is not always the most practical route. However, taking H2 Music does not mean that you need to go to a music school or a conservatoire, or even major in music. For those set on taking music major in university (despite objections from your parents), you can consider a career in arts management, music therapy, and in a recording studio, among others. The more conventional route will of course, involve working as a teacher either with the Ministry of Education or a private music school. Don’t dismiss these as unimportant careers – they are important in nurturing the next generation of Singaporean musicians and ensuring Singapore’s arts scene continues to develop! For those who are still undecided about majoring in music, but have an interest in music, do consider offering H2 Music for the ‘A’ levels all the same, because the skills required of you for music are definitely applicable elsewhere. For example, the research and essay-writing skills can help if you decide to be a scientific researcher instead, or a lawyer. Also, the heavier workload (because you are dealing with three assessments), coupled with your external music lessons, can get exhausting if not managed well. This should encourage you to develop time management skills – crucial for whichever career path you opt to take in the future. A recent article published by the New York Times (link here) also examined the correlation between music and success. Yes! It’s time for trivial fun facts! 1) You get to use the cool recording studio to try out the compositions in your portfolio! It is a requirement, actually, to record your works. 2) You get to meet quirky people with similar interests and geek out about music. That being said, if you are a Humanz student like I am, it is about one of the rare instances aside from CCA that you get to truly interact with people outside of the Humanities Programme. In any case, you will meet people who are similar and yet so different. Altogether an exciting social experience, if you’re looking for one! 3) There are cool teachers like Dr. Gooi, Mr Derek, and Dr. Ruth (who pops by for the performance practice lectures). They are always keen to help you, and are generally fun to be around, as long as you give them the due respect. 4) Free tickets to concerts! It is mostly avant garde stuff. Nevertheless, they are all enriching experiences. Try to go for at least one, if not all! For more information, do refer to the syllabus available on SEAB’s webpage. Alternatively, there will be an introductory session during the January Induction Programme for RP students interested in offering the subject. First female conductor to conduct on the Last Night of the BBC Proms. For more information, click here. I graduated in 2007 and took mep- one of the best decisions ever made. This article brought back many memories- a lot of good times spent in the mep room!